Photos above: (left) The Boy Scouts place American flags in the middle of the village on holidays such as Flag Day and July 4th, (middle) Buddy the Cat finds the community restful, (right) the 60-year-old volunteer fire department is based at the center of the Village of Midlothian. Video highlights of the 2010 Village of Midlothian Day Parade are here. The Lifelong Learning Institute of Chesterfield is in the middle of the Village of Midlothian. The member-supported organization is designed to meet the educational, fitness and social enrichment needs of adults age 50 and "better." Get the &amp;amp;amp;amp;amp;amp;amp;amp;amp;amp;amp;lt;a href="http://www.widgetbox.com/widget/discover-things-to-do-richmondcom"&amp;amp;amp;amp;amp;amp;amp;amp;amp;amp;amp;gt;Discover Things To Do - Richmond.com&amp;amp;amp;amp;amp;amp;amp;amp;amp;amp;amp;lt;/a&amp;amp;amp;amp;amp;amp;amp;amp;amp;amp;amp;gt; widget and many other &amp;amp;amp;amp;amp;amp;amp;amp;amp;amp;amp;lt;a href="http://www.widgetbox.com/"&amp;amp;amp;amp;amp;amp;amp;amp;amp;amp;amp;gt;great free widgets&amp;amp;amp;amp;amp;amp;amp;amp;amp;amp;amp;lt;/a&amp;amp;amp;amp;amp;amp;amp;amp;amp;amp;amp;gt; at &amp;amp;amp;amp;amp;amp;amp;amp;amp;amp;amp;lt;a href="http://www.widgetbox.com"&amp;amp;amp;amp;amp;amp;amp;amp;amp;amp;amp;gt;Widgetbox&amp;amp;amp;amp;amp;amp;amp;amp;amp;amp;amp;lt;/a&amp;amp;amp;amp;amp;amp;amp;amp;amp;amp;amp;gt;! Mid-Lothian Mines Park is the site of what was one of the United States' the first major industrial enterprises. Today it is a 44-acre preserve in the Village of Midlothian. Dedicated to the citizens of Chesterfield County, past and present, the cut stone ruins of the mines surrounded by the beautiful woodland testifies to the courage, innovation and sacrifice of those who started the U.S. industrial revolution. Learn more about our history and the park here. The Midlothian Business Alliance brings together business professionals, community leaders and government officials by providing a venue to share information, build relationships and collaborate on issues and activities affecting the community in and around the Village of Midlothian. Visit the MBA website. The Village of Midlothian entryway is maintained by the Village of Midlothian Volunteer Coalition. Learn about the VMVC. The Midlothian community is in the northwestern part of Chesterfield County, Virginia, a few miles west of Richmond, Va., USA. It includes the unincorporated Village of Midlothian that has old and new churches, fine and friendly restaurants, unique shopping, a modern post office, a volunteer fire department, schools, and older homes–all surrounded by the typical new residential development found in many popular suburban communities across the country. Read more>. In 2011 Midlothian, Va., was named one of the top ten "Perfect Suburbs" in the United States by CNBC. Learn more here. 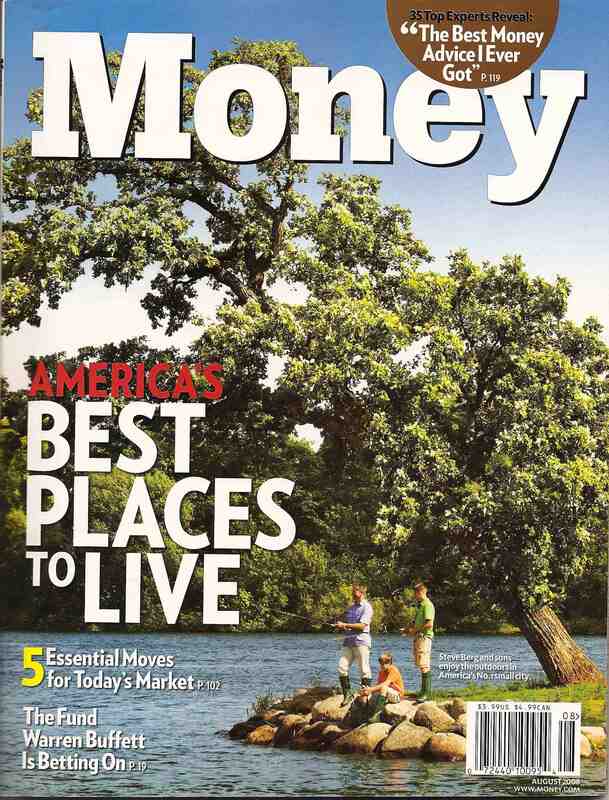 Midlothian, Va., won a spot on Money Magazine's Best Places to Live in both 2008 and 2007. 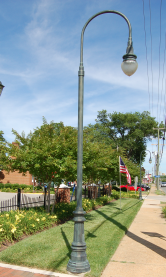 What's up with the streetlights in the Village of Midlothian? Get the details here. The Midlothian Volunteer Fire Department was organized in December 1949. Company Number 5's station is the center of the Village of Midlothian. More than 50 volunteer firefighters are involved today. The Midlothian Chapter of the Friends of the Chesterfield County Public Library help their branch achieve the library's goal of bringing art, culture, and information to the citizens. Visit the Midlothian Branch's website to find out more. The Village of Midlothian is already the "most walkable" community in Chesterfield County and is getting more so as more sidewalks are coming soon along Route 60 and on Coalfield Road.